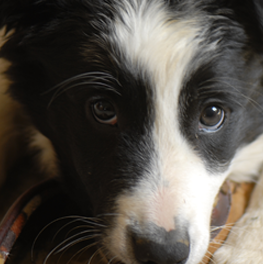 Your dog is hard-wired to chew, chew, chew. 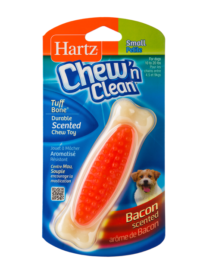 Encouraging this instinctual behavior by providing your canine companion with an appropriate chewing item can promote mental and emotional wellbeing along with dental benefits. 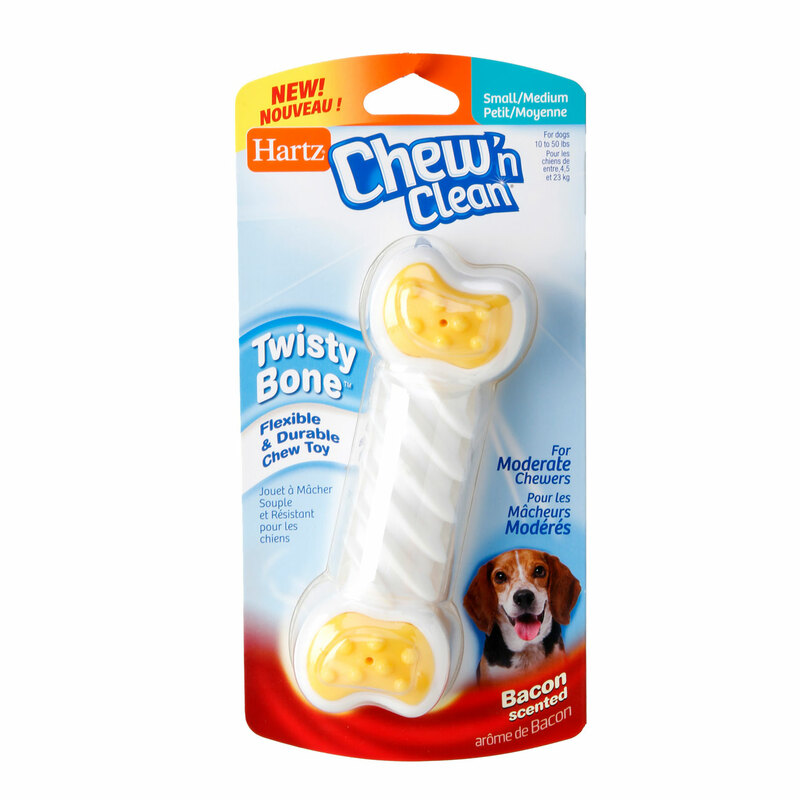 The Hartz Chew ‘n Clean Twisty Bone is a flexible and durable chew toy that withstands mild to moderate chewing. 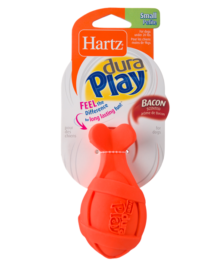 The unique twisty middle ridges offer a firm grip and help massage gums – making this toy a great choice for puppies and senior dogs. The nubby textured ends entice chewing and are enriched with a tempting bacon scent. 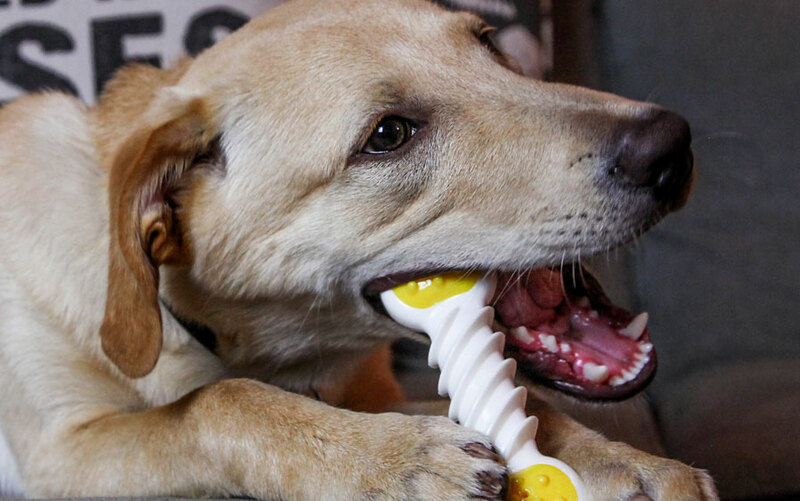 The Twisty Bone entices dogs to exert their need to chew, while helping keep teeth and gums clean to reduce the build-up of plaque and tartar. 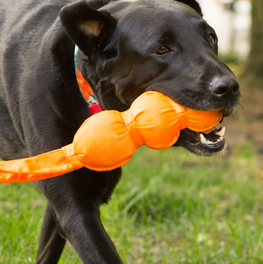 Available in a variety of sizes and colors to suit every dog’s needs. 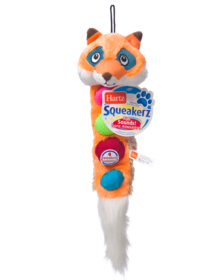 Remember to supervise your pup with any toy. All dogs chew. 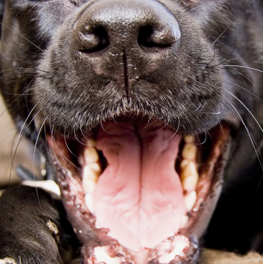 But if it becomes excessive, you will need to train your dog to redirect his chewing.